Today’s Baby Boomers Want a Lock and Leave Lifestyle! Many of today’s Baby Boomers have arrived at a place in their lives where they should and can have it all. They’ve worked hard, raised a family, maybe put a few kids through college and hosted a few weddings, too. Now they are empty-nesters who want to enjoy life. And possibly go traveling at the drop of a hat! That means having a secure and easy-to-lock-up home is a top priority. 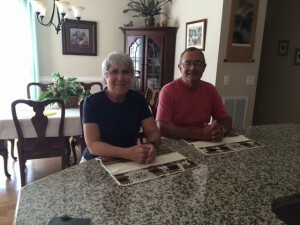 Loren and Mary King moved to the Villas of Wake Forest last year for just these reasons! In addition to moving closer to their daughter, they wanted a single-story, no-maintenance home, as well as the peace of mind knowing their home was secure if they leave. Now, they are traveling all over the world with the new friends they’ve met at the Villas! 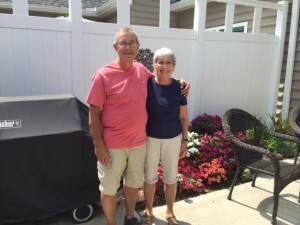 Loren and Mary recently returned from a riverboat cruise in Russia with some of their new neighbors, and they have another trip lined up to Amsterdam and Budapest with another neighbor. Meeting and making new friends here has far exceeded The Kings expectations! “The Villas fit our lifestyle. With all of the exterior maintenance taken care of for you, and wonderful neighbors who will look after your pets or water your flowers, you definitely have peace of mind when you leave. And it’s also a great place to come home to,” said Loren and Mary.